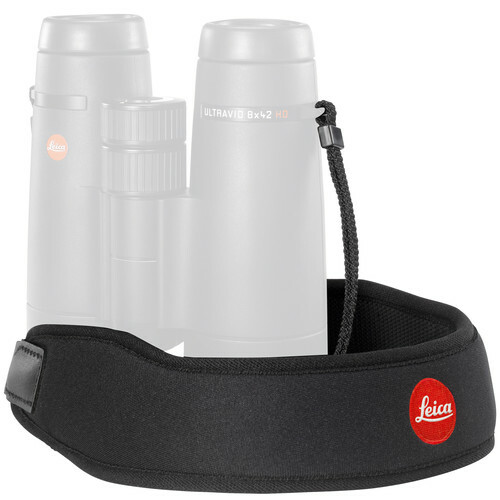 Whether birding, boating, or attending sporting events – the pitch black Neoprene Binocular Strap from Leica will keep your binoculars at the ready while helping to reduce fatigue and neck strain. For comfort, the strap features an ergonomically curved, neoprene pad. Users will appreciate the adjustable design. Box Dimensions (LxWxH) 7.1 x 4.4 x 3.6"
Neoprene Binocular Strap (Pitch Black) is rated 4.0 out of 5 by 1.